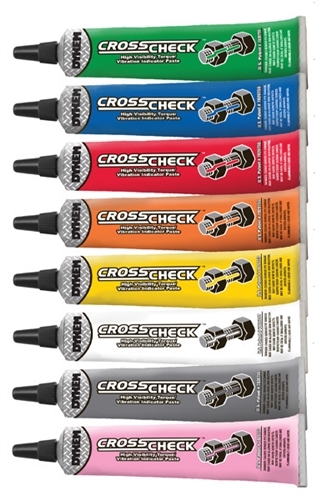 Dykem Cross Check Torque Vibration Indicator Paste is used to detect tampering or loosening of a fastener. Apply the indicator paste and allow it to dry. 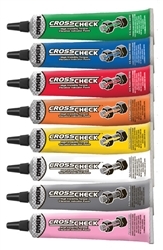 Any broken seals will easily identify loosening due to excessive vibration, tampering, etc.